NDO - Nhan Dan Online reviews the notable events that have made the headlines over the past week. General Secretary of the Lao People’s Revolutionary Party (LPRP) and President of Laos, Bounnhang Vorachith, paid a visit to Vietnam from July 3-7, at the invitation of General Secretary of the Communist Party of Vietnam (CPV), Nguyen Phu Trong, and President Tran Dai Quang. During his meetings with the Vietnamese Party and State leaders, the two sides reaffirmed and emphasised the strategic importance of the traditional friendship, special solidarity, and comprehensive cooperation between Vietnam and Laos. 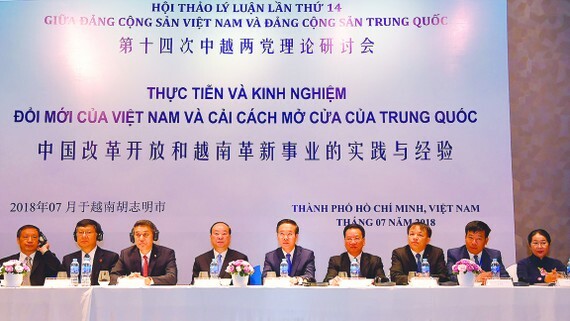 The 14th theoretical workshop on Vietnam’s renewal realities and experience, as well as China’s open-door policy reform, took place in Ho Chi Minh City on July 6. Discussions at the workshop highlighted Vietnam’s experience during its “Doi moi” (Renewal) process and China’s open-door policy reform. Both sides shared their experience in the causes of socialism and party building, socio-economic and cultural development, external relations work, and global integration. Nhan Dan (People) newspaper, the central organ of the Communist Party of Vietnam, and the voice of the Party, State and people of Vietnam, opened a representative office in the Russian capital city of Moscow on July 6. The opening of the representative office is expected to enhance the dissemination of information and reflect the current socio-economic situation in both countries, contributing to strengthening the fine relations between Russia and Vietnam. 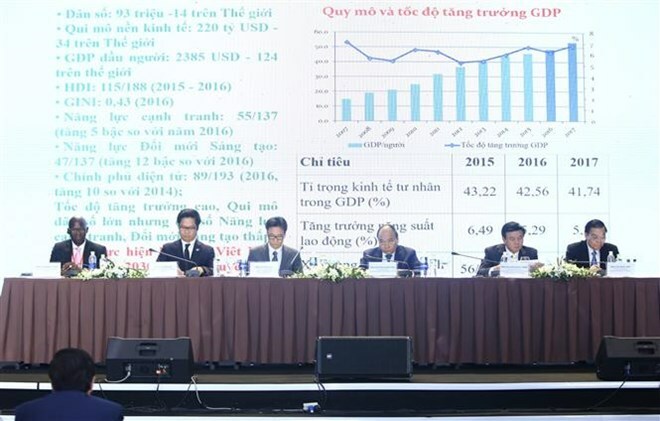 The National Conference on Sustainable Development 2018 opened in Hanoi, on July 5, with the focus on measures to promote public-private partnerships, and improve productivity and competitiveness towards sustainable growth in the digital era. Themed “Enhancing Competitiveness, Realising Sustainable Development Goals Amidst Industrial Revolution 4.0,” the event attracted more than 650 delegates representing Government agencies, think-tanks, international organisations, business associations and enterprises. The Vietnam Software and IT Services Association (VINASA) launched Vietnam’s 50 Leading IT Companies 2018 programme in Hanoi on July 3, to honour the prestigious and competent IT firms in Vietnam. This year, aside from the selection of 50 leading IT companies, the organising board will also pick out 10 outstanding enterprises in digital transformation, the internet of things, and new technology trends. 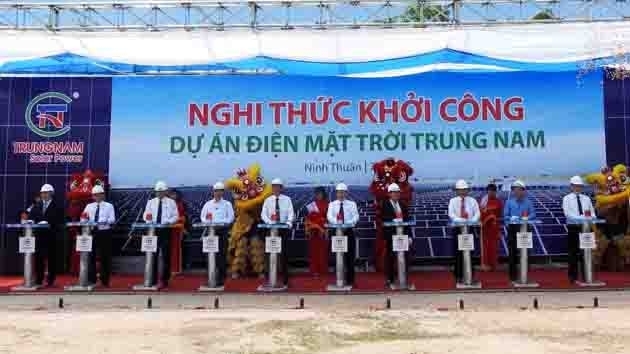 The plant, which is scheduled to be completed in June 2019, is expected to produce between 401 and 450 million kWh of electricity per year, boosting the supply of electricity for Ninh Thuan province in particular and for the country in general. Vietnamese athlete, Le Tien Long, won the bronze medal in the men’s 2,000m steeplechase at the Asian Youth Olympic Games 2018, held in Bangkok, Thailand, on July 4. Long crossed the line with a time of 5:58.47. Meanwhile, in the women’s 1500m steeplechase, Doan Thu Hang ranked fourth with a time of 4:40.27. Hoang Thanh Giang came fourth in the final of the women’s triple jump with a result of 12.64m, while Ngo Thi Khanh Ny finished fifth in the final of the women’s 2000m steeplechase with a time of 8:08.83. The Vietnam National Administration of Tourism (VNAT) recently launched a new website to promote Vietnamese tourism, at www.vietnam.travel, with the aim of making it more attractive and user-friendly for international visitors. The website, available in English, provides essential information for foreign holiday makers who wish to travel to Vietnam, including visa application procedures, places to go, things to do across the nation, and cultural events and festivals that take place around the year.